Hey blazerforum, I'm throwing this up here and trying to be as objective as I can be reviewing this. BEFORE REPLYING PLEASE SAVE YOUR NEGATIVE COMMENTARY FOR SOMEWHERE ELSE. MY TIME HERE IS FOR THE BENEFIT OF THE FORUM AND NOT TO HOUSE TROLLS. I have overheating issues towing 6500lb trailer when my vehicles sitting at almost 5700lbs curb weight. I had no issues before with the 4.3 and a 10psi supercharger rocking a severe duty fan clutch and 12" Derale 16925 pusher fans towing in the summer heat with 6000lb loads. After the v8 install is when it all went downhill for cooling under a load. AC @ idle has no issues nor does traffic, it's that 45+mph that is when it starts to overwhelm the factory 4.3 radiator. This can be seen albeit to a far lesser extent when not towing, so hopefully this is a cheap bang for the buck solution so I (and others like me) don't have to give Griffin a bunch of monies. 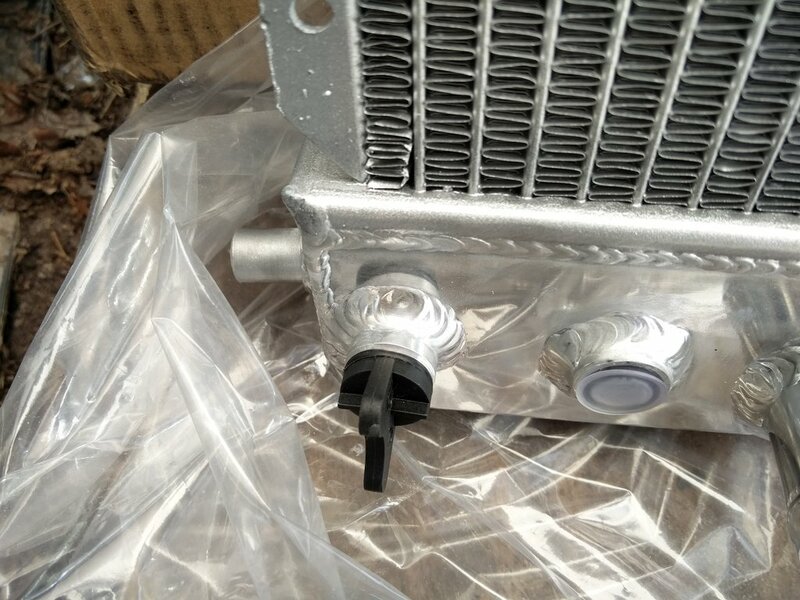 The built in trans cooler and engine oil cooler are the inferior design tube style instead of proper in tank radiator. Easily overlooked for the price although monitoring temps and or auxiliary coolers are recommended. The drain plug is garbage plastic without a trapped oring seal that deflects when tightened. I've since replaced it with a brass plug and threadsealer. It took some damage in shipping to the lower hose outlet, will keep an eye on it because reshaping is not aluminum's strong point. The included cap pressure tests at 8 psi so that needs to go straight into the trash in lieu of the factory 15-16 psi cap. The 3 rows are only about .440" wide each, a better design would have 2 1" thick rows however those designs I've only found in the $500 range. 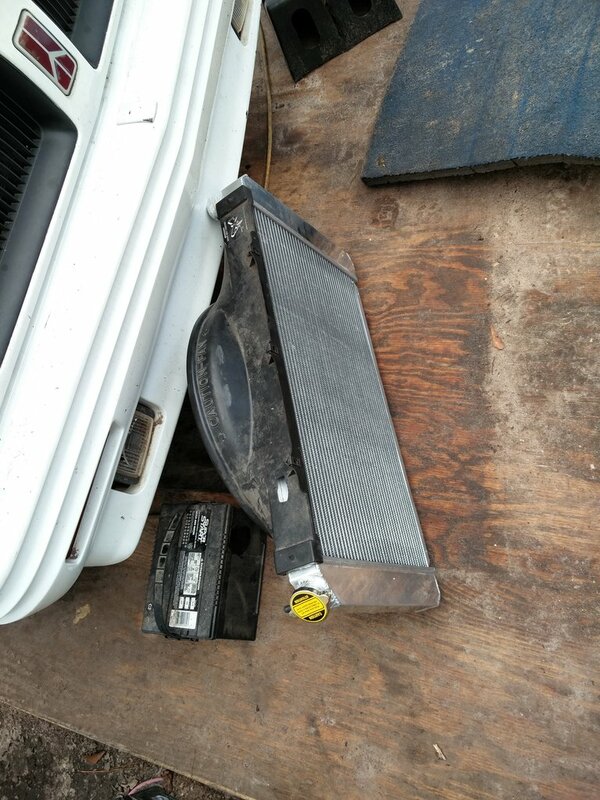 The seller claims 82-05 compatibility however omitting a heater hose bypass fitting on the passenger side tank precludes all 1st gens without an adapter. There are pins on the bottom of the radiator that indicate this is indeed designed for a 2nd gen and will likely require removal. 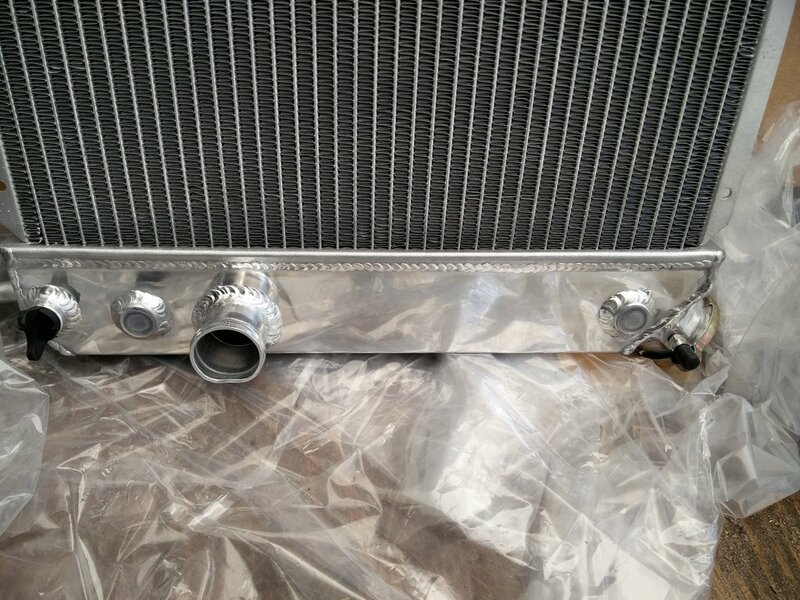 The EOC fittings appear bolt on to the stock cooler lines which is nice since the aftermarket rads require adapters that push the hoses into the 4.3 cpi air cleaner assy. The transmission fittings are 3/8npt which is much larger than a 1st gens 5/16 fittings so a 3rd party adapter will be required. My theory: I have to compensate for a lack of airflow with a larger heat exchanger, since all things being equal the difference is a lack of a fan clutch and a larger power engine. 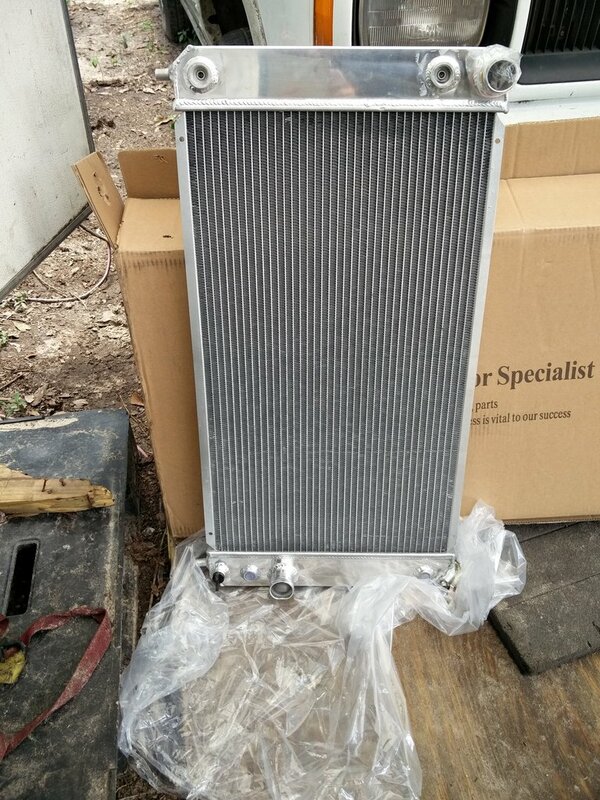 I suspect this radiator will likely only increase the time it takes to overheat however I'm hoping with the additional cubic inches of heat exchanger it will actually remove more heat. Will report back with fitment after the install. 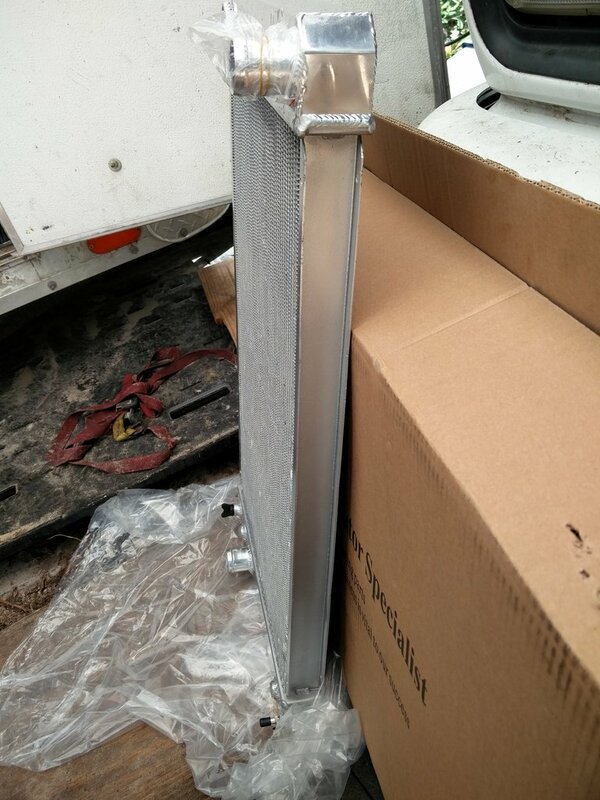 That isn't a bad deal for an all aluminum radiator. I doubt you will get much trolling on this, that doesn't really happen on this forum. Good luck, hopefully it solves your issue. Good find. Im sure a 4.3 would really benefit from it. Hope it works out for your v8 app. 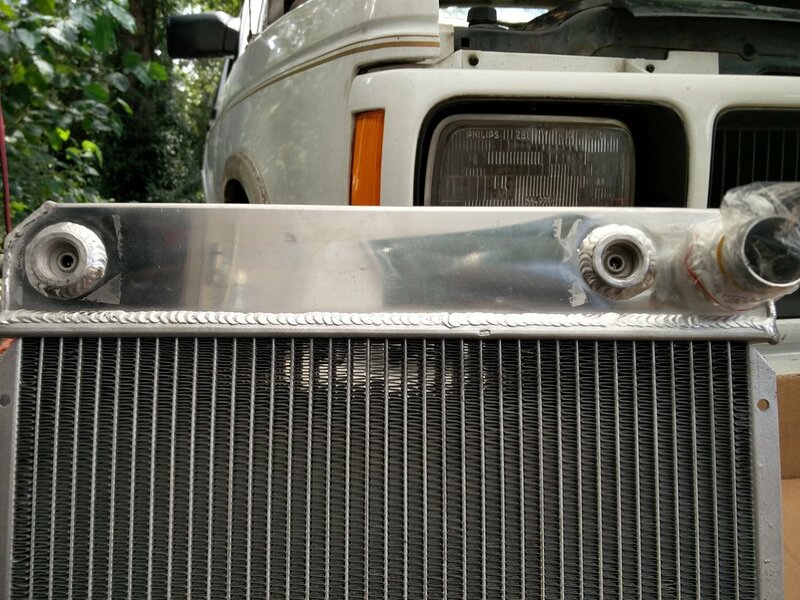 Quick Reply: $125 all aluminum Chinese s10 radiator experiment.